Nautical Decor is something that I love. I love the comfort and the unpretentious feeling it can give a room. 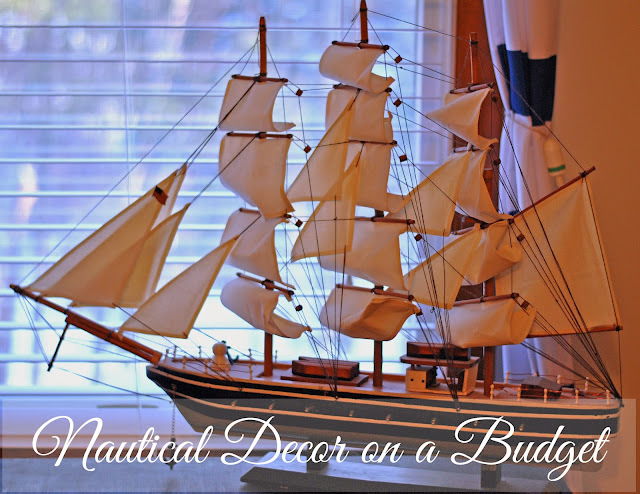 However, I have noticed that nautical decor is expensive! Well, it doesn't have to be anymore! 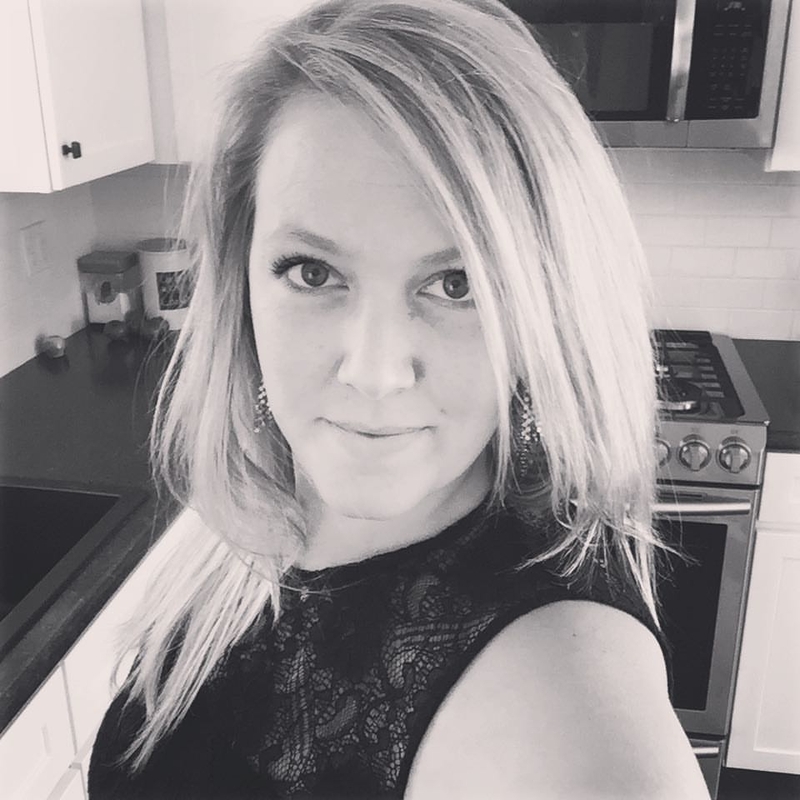 There is no need to break at bank at Pottery Barn or boutique shops. I will show you how a few simple and inexpensive items can transform into those high ticket items you long for! 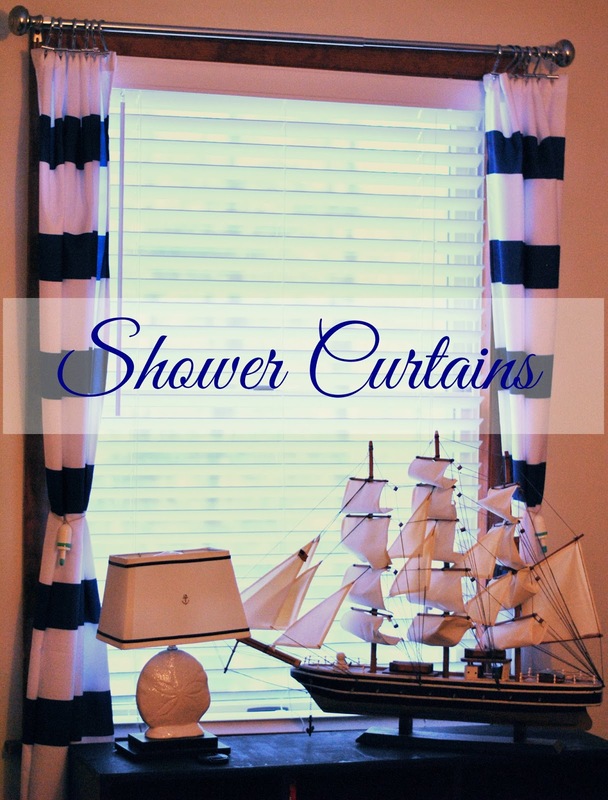 When I was looking for nautical window treatments for the nursery the only ones I could find were $90 at West Elm and Pottery Barn. I couldn't justify that purchase, and I knew that there had to be an lesser expensive alternative. 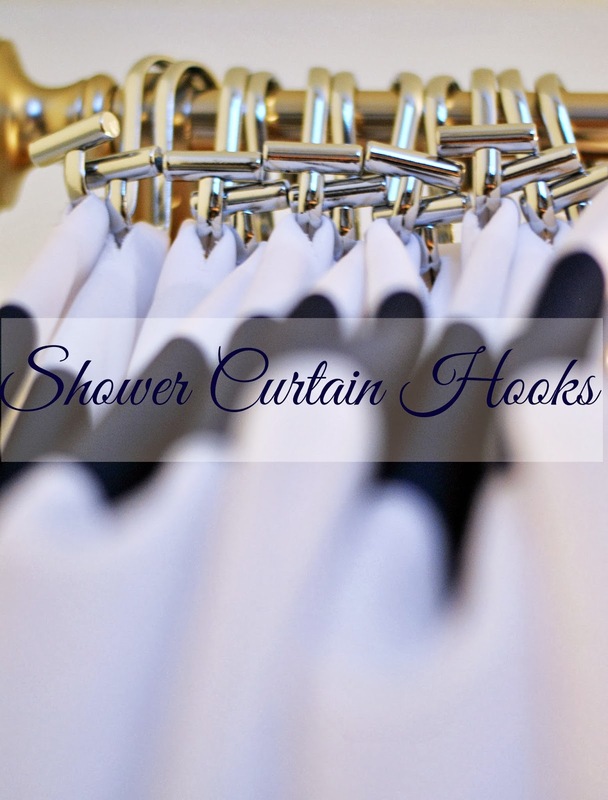 I found the exact curtain that was selling for $90 at those high end stores, at Target in the shower curtain isle for $14.99. This window consists of one shower curtain, cut in half, and hung with shower curtain hooks! These hooks are perfect! They were $10 and have a nautical touch without being overwhelmed with shells or anchors. And of course, you have to have something to tie back the curtains with. My husband is a lobsterman and for our wedding he painted 100 buoys to match his actual lobster buoy. We had a few leftover and they made the perfect tie backs...for free! A small white rope would do the trick. 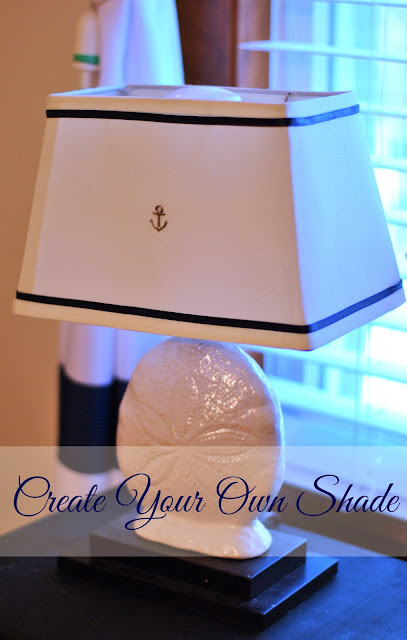 Lighting in general can be really pricey, then you add nautical flare to it and it's outrageous! I searched high and low and could never find exactly what I wanted. That's when I stumbled across this sand dollar base for $12 and it came with a plain white shade (any white base would do). 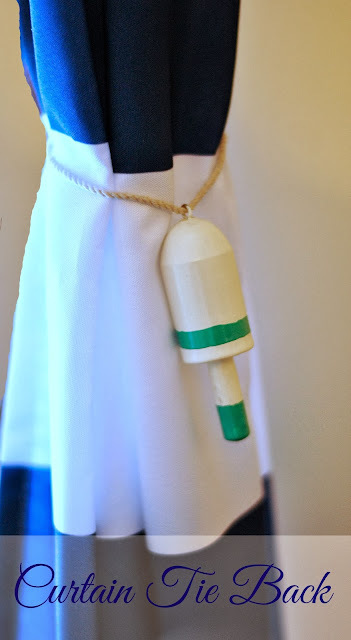 I didn't want the shade to be plain white, so I glued on blue ribbon and a simple metal anchor. These are not a necessity like window treatments and lighting is, so I am hard pressed to spend a lot, if any money on these items. Thankfully I didn't have too! Having one focal point in the room will pull the room together but will also avert eyes away from empty spaces you may not have filled yet. We were given this ship by my grandfather as a wedding gift. We absolutely love it, but before the nursery we had no where for it to go since our place is small. Now it is the focal point in the room. These can come in many different forms such as pictures, paintings, maps, shelves, ect. Here are a few that I have chosen. Be careful not to choose too many things to hang on the wall or it will look cluttered. 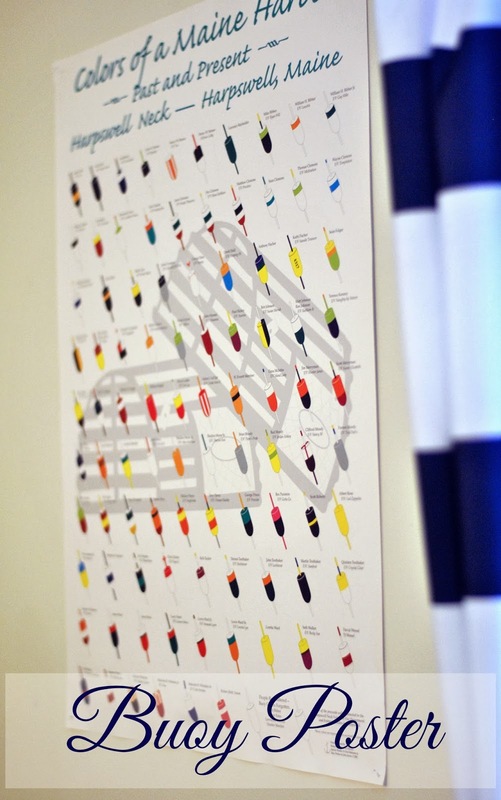 This buoy poster may seem like "nautical decor" and that's it, but it couldn't be further from the truth. My husbands entire family of lobstermen are featured on that poster with their specific buoy. 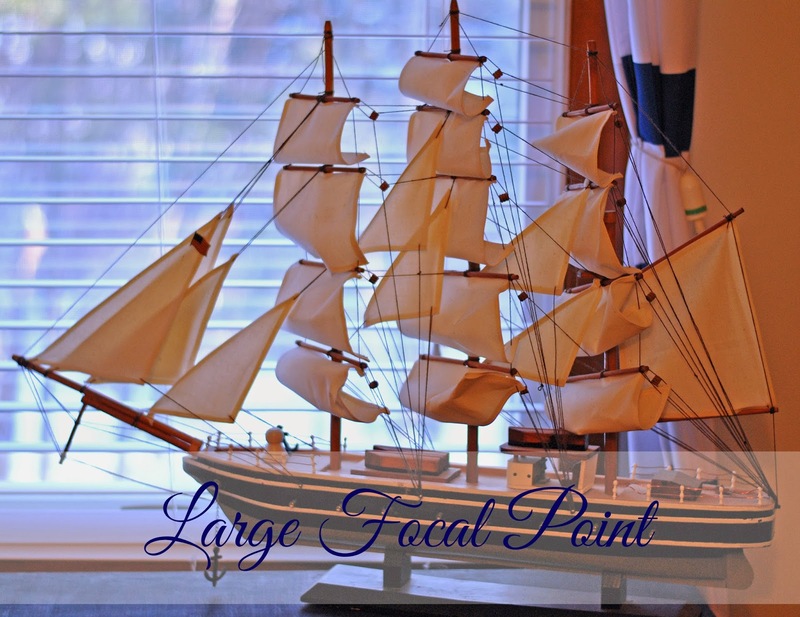 It brings not only the nautical theme into the room but also family. 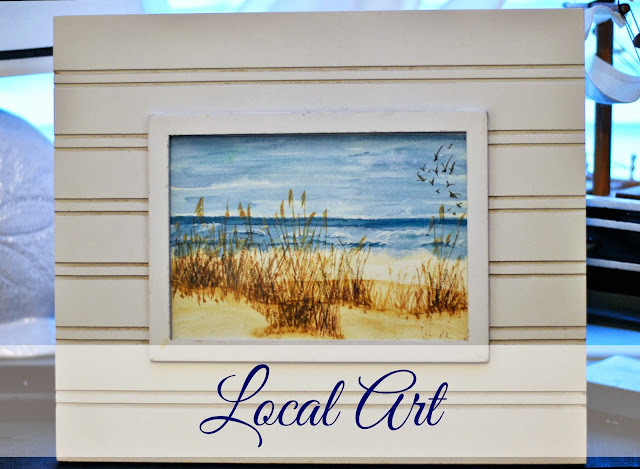 Local art is such a great touch to any part of your house. This happens to be painted by my mother! I have had it for a few years, and it just fits so perfectly so I took it out of my living room and added it as a soft touch to the nursery. Remember that when decorating, not to always be so serious. Add a conversation piece here or there. It can break up the theme just a tad to make it interesting. For a nursery it's fun to have some personalized wall art. 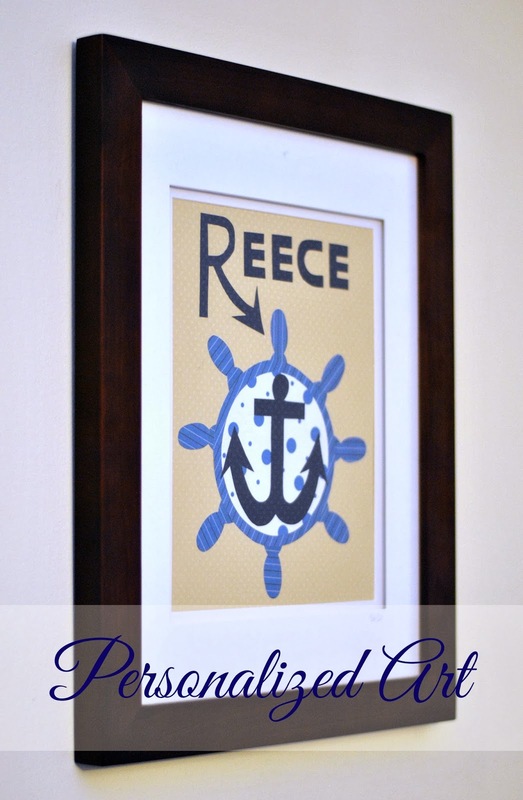 This was hand crafted from an Etsy shop with my sons name and a nautical design. Fits perfectly. I am not a big decorator since everything is so expensive and I would rather spend that money on things such as... food, clothing, shelter... but when I do decorate I make sure it's with things I already have. And when I have to spend money, I do so sparingly. Also keep in mind when decorating that your tastes may change down the road. So buy things that can go from one room to the next or survive a color change. 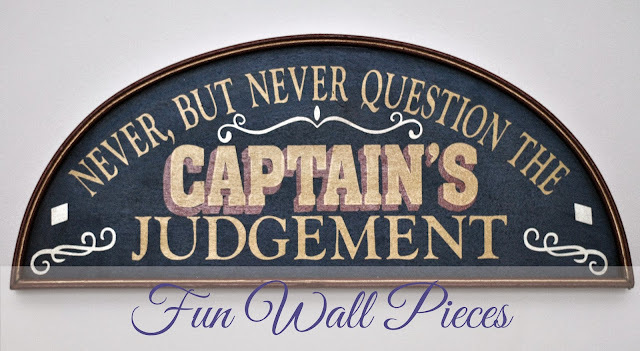 When doing the nautical theme for my sons nursery I made sure those pieces I would be able to use elsewhere in the house once he had a say in his room decor. wow this looks great! i'm entering the decorating stage of our house renovation and i'm disappointed in how not creative i've been! hopefully my creativity will start working soon...especially since our piggy bank is empty!